Happy Friday! Today’s “Things I’m Loving” focuses on one of my favorite things – MUSIC! As a LES MILLS instructor, it feels like Christmas four times a year! We get to download our new instructor “kits” quarterly, so that means new master class videos, music and notes. I’m always excited to listen to the music first. I love getting some new tunes for workouts, car rides and around the house. We have a new “autoship” date coming up for our next round of downloads. Since I’m on the US east coast, my magic download day is May 18. You better believe that date is on my calendar! Young & Stupid – Travis Mills feat. T.I. My free trial for Apple Music just expired and I was just starting to take advantage of this service. I might pay for it over the summer. I didn’t realize you can save songs to your phone so you can listen to them without data/wifi! Do any of you subscribe to Apple Music? What is your current jam? 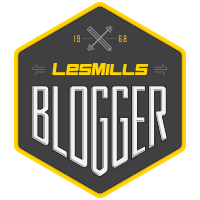 Posted on May 5, 2016, in Uncategorized and tagged Friday Favorites, Les Mills, Les Mills BODYATTACK, Les Mills BODYBALANCE, Les Mills BODYFLOW, Les Mills BODYPUMP, Les Mills CXWORX, Les Mills Reebok, Music, Things I'm Loving. Bookmark the permalink. 3 Comments. Ooh, thanks for the list! I’m always looking for new music for my playlist. Right now I’m just using GooglePlay (the Cardio playlist) during runs to keep things fresh, but I really need to sit down and make a purposeful list sometime. I didn’t know Apple Music still existed! I guess because I never bought it. It’s cool that you can save the songs on your phone! Free three month trial for Apple Music! Amazing thanks so much for posting this!